Click image read the Facebook post. forum to communicate with you and share the latest news from the USPTO. We know thousands of innovators, members of the intellectual property practice community, and USPTO employees are active on Facebook, so we’re pleased to be able to bring information and updates to you here. But this is also a place where you can tell us what YOU think. We encourage you to comment on our posts and tell us what you “like” and “dislike.” Check back here daily, as we will be providing regular updates including press releases and other news, details on upcoming events, speeches, updates from my blog, photos, video, fun facts and more. Just like checking your Facebook page, we hope visiting our page will become part of your daily routine." The Patent Office clearly cannot sustain this level of badness for very long. The rules and common sense are against them. The light of public accountability shines, and compliance is inevitable. The chorus for transparency and fairness is growing louder each day. We encourage whistleblowers to step forward. Deputy Counsel Kathryn W. Siehdel is evidently protecting Facebook and their cronies. 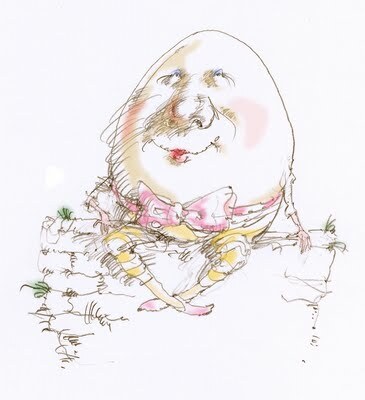 Is the Patent Office and its parent, the Executive Branch, one big, ethically-challenged Humpty Dumpty? USPTO FOIA Response: Kathryn W. Siehndel, FOIA Deputy Counsel, U.S. Patent Office FOIA Response re. Leader v. Facebook, F-13-00218, Aug. 7, 2013 <http://www.scribd.com/doc/160572991/Patent-Office-FOIA-Response-re-Leader-v-Facebook-F-13-00218-Aug-7-2013>; also available at <https://docs.google.com/file/d/0B2SfG2nEsMfqSWQ5SlJkbERjN0U/edit?usp=sharing> and <http://www.leader.com/docs/Patent-Office-FOIA-Response-re-Leader-v-Facebook-F-13-00218-Aug-7-2013.pdf>. Obama on Transparency: Barack Obama, The White House, Memorandum of January 21, 2009. ''Title 3 – The President, Freedom of Information Act [FOIA], Memorandum for the Heads of Executive Departments and Agencies.'' Presidential Documents, Federal Register, Vol. 74, No. 15, FR Doc. E9-1773, pp. 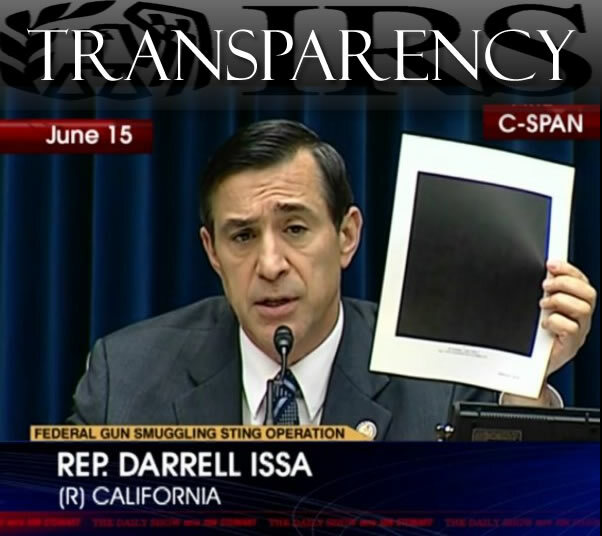 4683-4684, Jan. 26, 2009 <http://www.uspto.gov/ip/boards/foia_rr/President_Letter_re_FOIA_Jan-21-2009.pdf> ("A democracy requires accountability, and accountability requires transparency."). Justice Sonia Sotomayor disclosed her extensive biography without claiming breach of privacy: S. Hrg. 111-503 - CONFIRMATION HEARING ON THE NOMINATION OF HON. SONIA SOTOMAYOR, TO BE AN ASSOCIATE JUSTICE OF THE SUPREME COURT OF THE UNITED STATES, Jul. 13-16, 2009, pp. 164-335. Available from Scribd <http://www.scribd.com/doc/160721129/S-Hrg-111-503-CONFIRMATION-HEARING-ON-THE-NOMINATION-OF-HON-SONIA-SOTOMAYOR-TO-BE-AN-ASSOCIATE-JUSTICE-OF-THE-SUPREME-COURT-OF-THE-UNITED-STATES#page=164>. FOIA appeal of a previous obstructed USPTO disclosure: FOIA (Freedom of Information Act) Renewed Appeal To U.S. PATENT OFFICE Response, Leader v. Facebook, Apr. 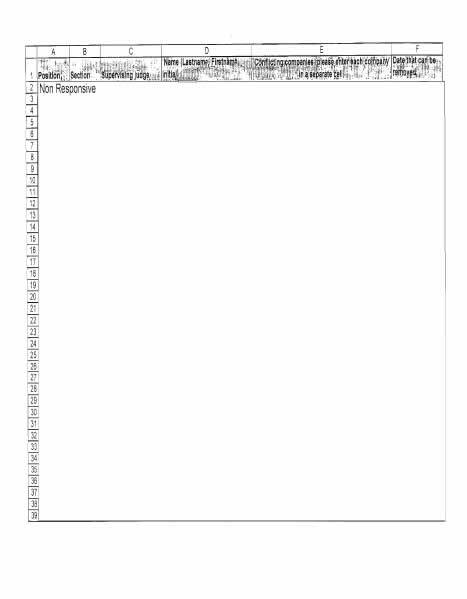 2, 2013, F-13-00064, A-13-00009, p. 12 <http://www.scribd.com/doc/133477125/FOIA-Renewed-Appeal-To-U-S-PATENT-OFFICE-Response-Leader-v-Facebook-Apr-2-2013-Freedom-of-Information-Act#page=12>. 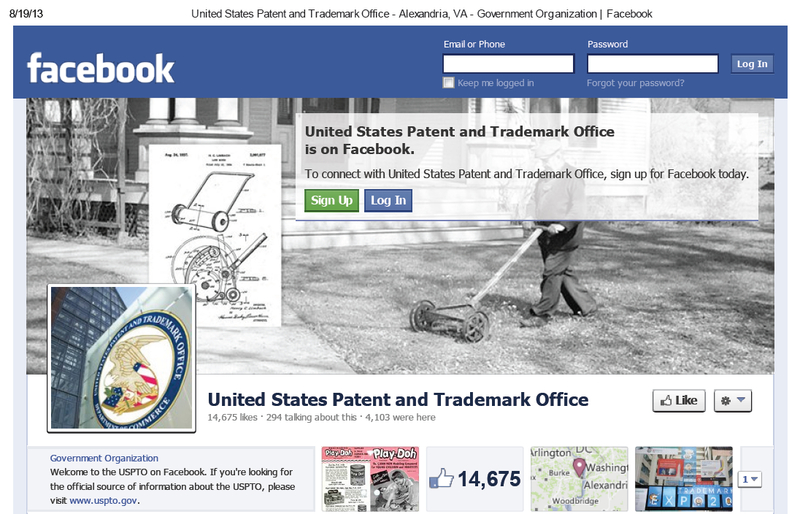 U.S. Patent Office Press Release announcing its Facebook Page, May 20, 2010: "US Patent Office Page on Facebook." 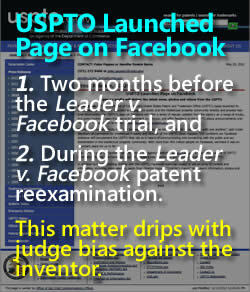 USPTO Press Release, May 20, 2010 <http://www.scribd.com/doc/161914552/US-Patent-Office-Page-on-Facebook-USPTO-Press-Release-May-20-2010>; See also <https://docs.google.com/file/d/0B2SfG2nEsMfqa3A1YjR1OC1sM3c/edit?usp=sharing>. Lawfare—Soviet Assymetric Warfare Tactics: Bartman Christi Scott. "LAWFARE: Use of the Definition of Aggressive War by the Soviet and Russian Governments." Dissertation, Bowling Green State University, Aug. 2009 <http://www.scribd.com/doc/112077638/Bartman-Christi-Scott-LAWFARE-Use-of-the-Definition-of-Aggressive-War-by-the-Soviet-and-Russian-Governments-BGSU-Aug-2009>. U.S. Patent Office USAJOBS posting for an administrative patent judge requiring a Financial Disclosure Report. USAJOBS. Accessed Aug. 23, 2013 <http://www.scribd.com/doc/162652658/US-Patent-Office-USA-Jobs-Posting-PTAB-2013-0014-Jul-2-to-Aug-30-2013#page=5> (''The Ethics in Government Act of 1978... requires senior officials in executive, legislative and judicial branches to file public reports of their finances as well as other interests outside the Government. If selected for this postion you will be required to file a Financial Disclosure Report (OGE Form 278). The OGE 278 is available to the public. The primary purpose of disclosure is to assist agencies in identifying potential conflicts of interest between a filer's official duties and the filer's private financial interests and affiliations.''). Tony Merchant has had repeated battles with the Canadian revenue agency over his tax payments. He has also been disciplined by the Law Society for "conduct unbecoming of a member." Tony Merchant new that facebook was stolen and three judges know that facebook was stolen they got the emails?? These hackers are aiding The President of the United States to break the law. Obama has organised such an information drive that Your phone exposes unnecessary information to adversaries and provides an easy conduit for information leakage, information that ended up on Obama desk and Sharing this information with facebook mark zuckerberg and pay pal you say Obama that we are protecting citizen from wiretapping and information gathering your phone has bean manipulated they have stolen your information ideas every thing you say" and sold it Obama kick back for mark zuckerberg So what is spying Obama selective amnesia your trust has been violated. If the state had organised such an information drive, protestors would have burned down the White House. But the state is the beneficiary of this new “social norm. Fraud scam cheat from foreign or domestic Hard to do business in a country that doesn't have too much respect for the finite ownership of ideas/concepts its blatant disregard for intellectual property rights and trademark associations. It's been going on for decades, and electronics are only a piece of the giant puzzle. Some are writing that the IRS is not targeting the Tea Party, as if this diminishes the revelations brought to light about the Leader v. Facebook judicial corruption scandal. 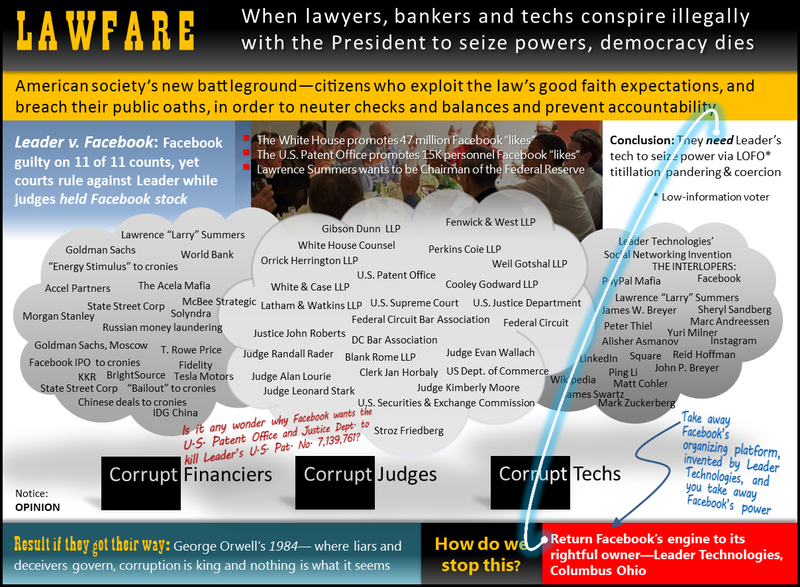 IRS scandal or not, the IRS investigation smoked out President Obama's personal counsels, Robert F. Bauer and Anita B. Dunn, as the directors of an "enemies" effort at the White House that pressures political appointees to use their agencies to punish groups, like Leader Technologies, who are an impediment to the global strategy of the Facebook Cabal. This abuse of power is what is being revealed. What ever happened to statesmen who honored the Constitution first, before their avarice and personal agendas? Our country is founded on Judeo-Christian ethics and laws. It is very clear in Deuteronomy what path we should take. Let's get off the wrong paths and follow the proper path. 18. You shall set up judges and law enforcement officials for yourself in all your cities that the Lord, your God, is giving you, for your tribes, and they shall judge the people [with] righteous judgment. 19. You shall not pervert justice; you shall not show favoritism, and you shall not take a bribe, for bribery blinds the eyes of the wise and perverts just words. 20. Justice, justice shall you pursue, that you may live and possess the land the Lord, your God, is giving you. 17. And he shall not take many wives for himself, and his heart must not turn away, and he shall not acquire much silver and gold for himself. 19. then you shall do to him as he plotted to do to his brother, and you shall [thus] abolish evil from among you. 20. And those who remain shall listen and fear, and they shall no longer continue to commit any such evil thing among you. 21. You shall not have pity: life for life, eye for eye, tooth for tooth, hand for hand, foot for foot. Can it be any clearer or simpler?! included cash bribes and tip-offs to wiretaps. Morris even admitted to talking about a cooperating witness against Bulger slated to go into the witness protection program who was murdered before the U.S. Marshals could move him. Chip..Chip..Chip. That is the sound of our Constitution being broken down little by little. These people that hold positions of power need to understand the damage they are doing. Grow a conscience people, for God sake! You are chiseling away the very foundations that our Constitution and our freedom thrives on. When is someone going to hold them ACCOUNTABLE? When is the blame-game going to stop? When is the "I don't know" going to end and someone be called out for their lack morals?! This corruption of "The People" and our way of life has got to end. These matters will never be closed until there is a resolution or a revolution. We will not be thrown to the wolves by this greed and power tripping. The White House should be ashamed of itself. Congress really needs to look at the core facts in Leader v Facebook and realize that this case mirrors a whole range of problems and money laundering. This case is simply an icon of what is destroying our great Country. These are crimes against the people. The people demand Justice! Some pounding needs done for sure! The House Judiciary needs to expose this corruption and hold the guilty accountable. And there are many slime balls who need stopped before their chipping does more harm. "Second, a judge cannot avoid recusal by placing assets in a blind trust, or avoiding knowledge of the judge's financial holdings. The Code and the recusal statute require a judge to be informed about the judge's and the judge's family members' financial interests. Written Testimony of The Honorable M. Margaret McKeown, U.S. 9th Cir, Committee on Codes of Conduct of the Judicial Conference of the United States, appearing before the House Committee on the Judiciary, Subcommittee on Courts and Competition Policy, hearing on Examining the State of Judicial Recusals After Caperton v. A.T. Massey, Dec. 10, 2009, p. 3.